Cold Brew and Iced Coffee – What will you chose? What is Coffee Chaff and What do we do with it? Coffee vs Tea – What Are They and How Are They Different? Having Home Barista Machine Problems? How Does My Coffee Brewing Device Make a Difference To The Taste? Are you in need of a good decaf coffee? Is Coffee Good For You… Awesome or Naughty? Great news for Green fingers! 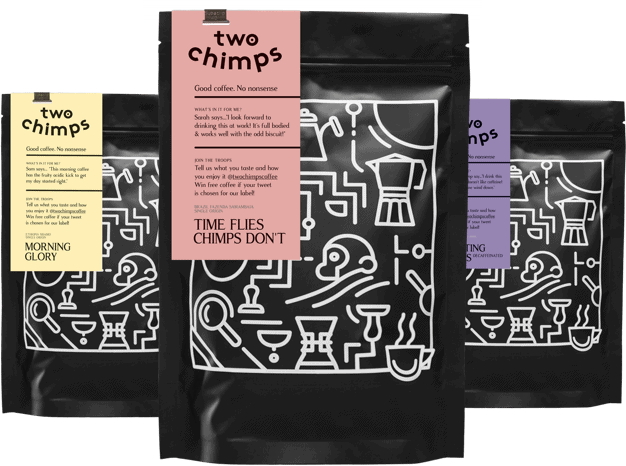 Mini Monsters soft play is brewing Two Chimps Coffee! Enjoy our Coffee at Hannah Coxhead Hair Studio!